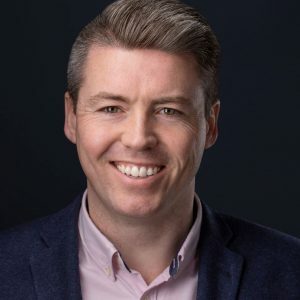 MONASTEREVIN native Kevin Duffy, who is running as a Fine Gael candidate in the upcoming local elections for the Kildare/Monasterevin Municipal District, has said that he wants to give back to the town he grew up in and have his children grow up in a town they can be proud to come from. Mr Duffy’s campaign launch will take place on Monday 15 April between 7.30pm and 9.30pm at Monasterevin Community Centre, which he noted is an opportunity to discuss what his campaign is focusing on and to hear about people’s concerns. He will be joined on the night by Fine Gael TD Martin Heydon. Mr Duffy attended primary and secondary school in Monasterevin and went on to complete a degree in Architectural Technology and a Master’s of Construction Project Management at Waterford Institute of Technology. After ten years working in Australia’s property and construction industry, he returned to Ireland in 2016 with his wife Lisa-Marie and children Hamish and Edith. Though he has described Monasterevin as a tight-knit community that has significant potential, Mr Duffy believes it has suffered from a lack of representation on Kildare Co Council and he feels passionate about the prospect of representing not just Monasterevin but areas such as Kildangan, Suncroft and Rathangan. He also said that while the town has moved on in terms of growth, its size and the number of houses and people, it has been left behind with regard to a lot of other social infrastructure such as schools and facilities like restaurants and cafés. “It’s just been overlooked in ways,” he said. Mr Duffy pointed to the long-awaited new secondary school in the town as one of the big issues, a project that has experienced long delays. The issue was highlighted again during Monasterevin’s St Patrick’s Day parade last month, with the action group marching with placards to highlight their annoyance and frustration with the delays. “Both secondary and primary schools are in desperate need of new buildings to support the growth of the town and the area,” he remarked. If he’s successful in securing a seat on Kildare County Council in May, Mr Duffy has pointed to what he described as a range of transferable skills he believes will help him in public life, including stakeholder and project management, critical thinking and thought leadership.